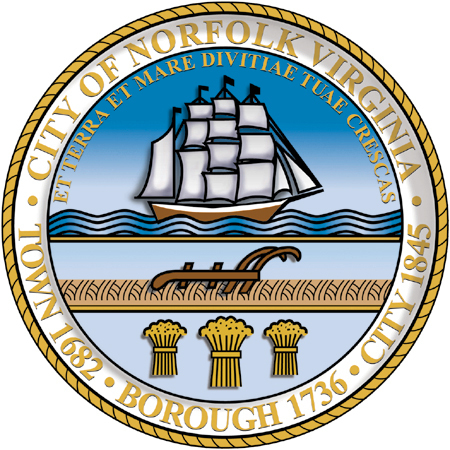 Norfolk City Council held two public hearings in December on what form the elected school board should take. I attended both meetings but did not speak because I’ve made my opinion known. It became clear to me that there is a real need for the system we adopt to contain some elements of both, perhaps something like Virginia Beach has. (Virginia Beach elects at large but has residency requirements for the candidates for most of the seats.) The only proposal that was offered by anyone on council was that by Tommy Smigiel, which is a hybrid model. A hybrid system requires a change to the Norfolk charter. Electing school board members either at-large or wards does not. A charter change requires General Assembly approval. It also would require another public hearing 10 days before it was to be voted on. All of this needed to take place in a rather short window, with the General Assembly opening next week. Norfolk City Council took up the issue in its work session on December 16, as shown in the video below. The discussion took about 52 minutes. Bottom line: council has delayed the decision on how the school board will be elected. That means there is little chance* for a hybrid system, even though council will consider it at its next meeting on January 13. * – I said “little chance” because even though the pre-filing period for legislation ends at 10am next Wednesday, legislators can introduce legislation after that time with the consent of all of the members of the given body. But this is a short session – scheduled to end 2/28 – and time to get this done is running out. If the decision were put off until the next legislative session, it would be really, really hard to have things in place for May 2016 elections. However, it is doable. At the public hearings it was expressed by the majority of citizens that we should not go by the ward system. Mayor Fraim has asked Senator Alexander to put in the necessary steps in the General Assembly to make the change to the ward system instead of at large or the suggested hybrid system. Sounds like a trip to Richmond to speak out against the mayor not listening to the voters. Peggy – that’s not right. No legislation is required for an at-large or ward system. Only if there is a hybrid system will legislation be necessary. Sen. Alexander is not putting in a bill for the ward system. July in each year transmit to the council and to the director of finance a detailed statement of all money received by said board or placed to its credit and all moneys disbursed by said board during the preceding six months, whether such moneys shall have been appropriated by the council or received from any other source for the purpose of public education. Separate accounts shall be kept by the said board of the moneys appropriated by the council, and moneys received from other sources, and every such statement shall show the balance of each class of funds on hand or under control of said board as of the date thereof. A local government can take no action that conflicts with state law. There is no provision in the referendum section of the state code to automatically dispose of this code section, which in its scope is completely unique to Norfolk. Until this code section is changed, Norfolk can take no actions towards electing a school board that will be considered legally valid if challenged in court. If it is not fixed this year or in a special session, it is likely that we will not be legally able to hold elections in 2016 without emergency legislation to conform the state code before the filing deadlines for candidates in March of 2016. Either Pishko and the members of council are too incompetent to realize this or they have realized it and are lying to the people of Norfolk for whatever reason. A lot of other people are saying the charter change is required as well and I’m almost positive the Mayor and Pishko are lying because there is no way they are this stupid. Maybe people actually think Pishko is an honest lawyer, but he’s proven to be dishonest over and over again. Remember Fraim had the memo drafted that said the Voting Rights Act required a Ward system and then magically ignored it once Norfolk GAINS put out their statement, which was based on almost entirely on my interpretation of that memo, which I gave to them, and the relevant code sections. In that same City Attorney memo it mentioned the existing state code section regarding the appointment of Norfolk’s school board. Now all of a sudden they are acting like no legislation is required? There is nothing I have seen in the state code, the State Constitution, or any court cases that allows sections of the Virginia State Code to be removed by any method other than legislation introduced by a member of the General Assembly. They can be rendered invalid and unenforceable, but they cannot simply be deleted. This dilemma is what is considered a “pure question of law” and in any lawsuit would result in automatically accepted appeals all the way to the Virginia Supreme Court until they decide the issue. Look at NORTHAMPTON COUNTY BOARD OF ZONING APPEALS, et al. v. EASTERN SHORE DEVELOPMENT CORPORATION. That case went all the way to the Supreme Court on multiple automatic appeals because Northampton County passed an ordinance that directly conflicted with another ordinance they had already passed. They said condos were not allowed in a certain zoning district, but then passed another ordinance saying they were technically allowed because of how they formatted a table in the ordinance laying out allowed building construction. The court found that new ordinance was invalid because a locality exceeds its authority when it passes an ordinance that conflicts with a previous ordinance or state law without having first repealed that ordinance or state law. Unless one or more of our so called leaders steps up to the plate and stops playing games, we are going to find ourselves in a similar situation.